When we bid Uber goodbye a couple months ago, we knew that UberEats would have to go soon too. 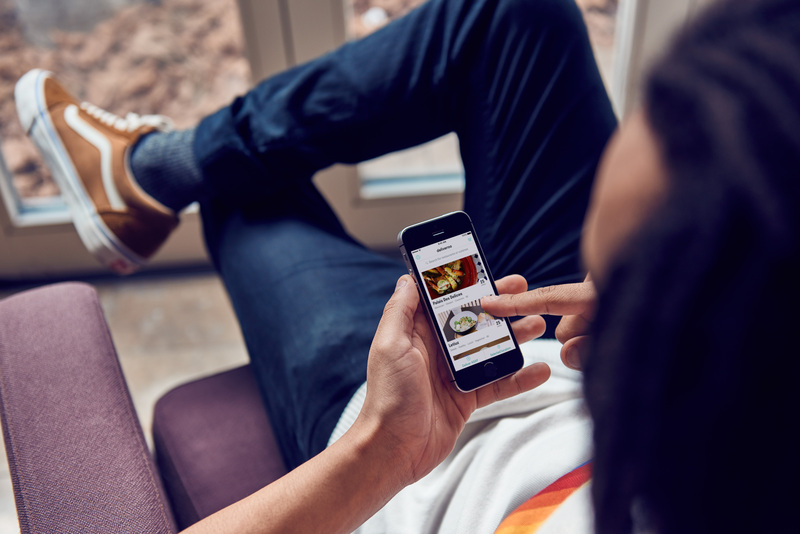 UberEats has been a lifesaver – for busy days at work when we couldn’t leave our desks, for rainy days, for days when you just didn’t want to put some pants on to go out to get food. The one thing that I missed the most was the no minimum order requirement that UberEats had – as someone who lives alone, it was hard for me to always meet the minimum order amount when I don’t want to venture out of my house even for food (yes, I struggle to even hit the minimum order for macs too). Obviously when Grab phased out UberEats, they also launched GrabFood that kept the no minimum order requirement. Not only is there no minimum order, you can also use GrabPay to seamlessly pay for your food and you’ll also earn GrabRewards points from your orders. No more hustling around to find your debit/ credit card! Just from browsing the beta version of the app, restaurants like McDonald’s, Wingzone, A Poke Theory and Yum Cha Restaurant will be available in an extensive menu for you to choose from. Another feature that you busy bees might like is the option to schedule food deliveries up to 5 days in advance. You’ll no longer have to worry about having to order lunch if you have a packed day ahead. 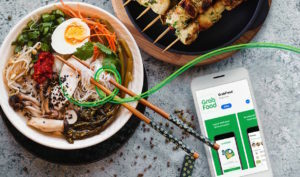 For now, GrabFood is only available in Singapore, but will soon expand to other countries in Southeast Asia like Vietnam, Thailand and Malaysia. Soon, you’ll be able to use the delivery app even in other countries! Besides the now defunct Ubereats, here are some other restaurants and sites that do not have a minimum order a.k.a. my lifesavers on a lazy day! 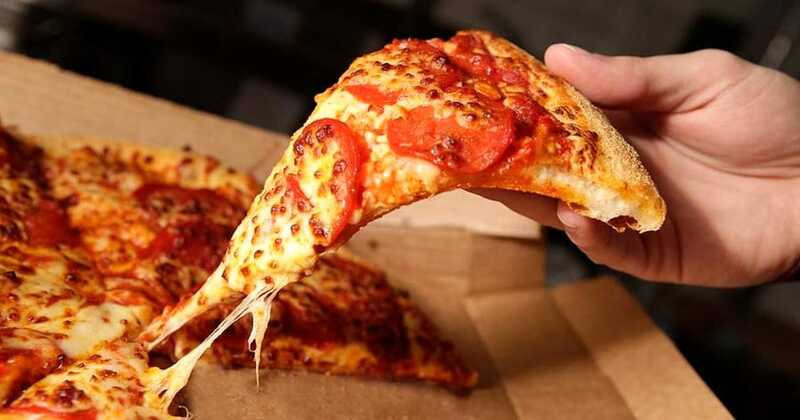 My go-to for pizza because there’s always vouchers for free sides and deals (sign up for an account to get last minute offers sent to your inbox!). Even if you’re picking it up, order online to get a free bottle of coke! They have personal pizzas for single portions, or you can get their Happy Hour deal where you get 2 regular pizzas for $20 if you order between 3 to 5pm. They say that there’s no minimum delivery, but there’s a slight hidden charge ($1.99) under services if you don’t make the $12 minimum order. The ‘service charge’ is much cheaper compared to other delivery services which can charge from $5 to the price difference to the minimum order. Also Porterfetch is a supper delivery service which is perfect for me as I like to stay up late, and delivers from 9pm to 3am. Why go out for supper when it can be delivered to your doorstep? Food offerings cover your fast food pickings like Fatboy’s The Burger Bar and desserts like Salted Caramel, but there’s a lot of good supper places like Al-Azhar Eating Restaurant and the Geylang Lorong 9 Fresh Frog Porridge. With no minimum spending and a $1.50 delivery fee, ordering in hawker fare remains nice and cheap. Plus… you don’t have to waste time queuing and trying to find seats too! 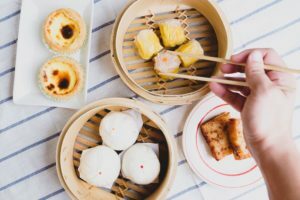 With over 23 hawker centers all over the island that includes Chomp Chomp, Fengshan 85 Market (Bedok 85), Hong Lim Food Center, Amoy Street Center and Maxwell Food Center to choose from, you won’t get bored with all the choices. The only downside is that delivery is not available islandwide – make sure to check that your location is central enough for them to deliver! With yet another delivery platform, it looks like you’ve got to get your order in earlier if you are craving a particular hawker’s food. If you’re patient enough to sit down and do a little digging, you’ll find that some restaurants on FoodPanda don’t have a minimum order requirement. The only thing missing is a filter function, which only filters out ‘free delivery’ and ‘has discount’. 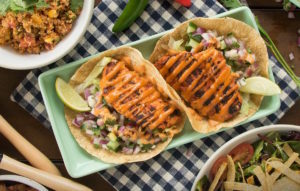 To qualify for free delivery, you’ve got to hit a minimum $12 (but might vary depending on the restaurant) order, so basically everything that does not offer free delivery has no minimum order. Previously you had to meet a $12 minimum spend on Deliveroo before you could place your order. If you stay in the heartlands, Deliveroo has now dropped its minimum spending to $0. For those in the CBD area, Deliveroo hasn’t forgotten about you – order before 6pm for the $0 minimum spend! Ordering for one just became so much easier. Locations with $0 minimum spend: Admiralty, Ang Mo Kio, Bedok, Boon Lay, Bukit Batok, Bukit Panjang, Central Business District (only applicable for orders before 6pm), Choa Chu Kang, Hougang, Jurong East, Jurong West, Loyang, Mandai, Pasir Ris, Punggol, Sengkang, Sembawang, Tampines, Woodlands and Yishun.